Zoos are controversial institutions - they are supposed to be places of animal education and conservation, joyful places where you can take the kids for a worry-free day of fun. 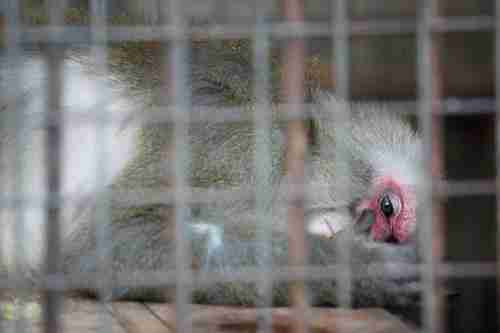 But all too often zoos around the world mistreat, even murder, the animals in their care. The zoo in Kiev, for example, has so many fatalities it's called the "concentration camp for animals." At the Mumbai Zoo, the animals that die - mostly from inadequate nutrition and care - are stuffed and put on display as taxidermy. Sadly, animal abuse isn't just limited to zoos in third-world countries. It happens right here at home. And often, the offensive aren't observable to patrons. "It's horrific what happens in these zoos," says Brittany Peet, PETA's deputy director of captive animal law enforcement. "Anytime profit is the motive, animal welfare is not the motive," explains Peet. It is time consuming and expensive to care for these animals, says Peet, so zoos cut corners, which results in animals suffering. "The less nutritious the food, the cheaper it's going to cost. The less veterinary care used, the less the medical expenses will be," she says. Though many are bad, some are worse than others. Here, the worst zoos around the world. When the Kabul Zoo opened in 1967, it was the place to go. More than 500 animals - many exotic - made for an awe-inspiring visit. When the communist regime collapsed in 1992 everything changed. Mujahedin factions brought violence and chaos into the country and fighters descended upon the zoo as though it were a butcher shop. Ducks and deer ended up in cooking pots while bigger game, like bears and tigers (animal forbidden by religion to eat), were left to die from negligence, stray bullets, or starvation. More than 400 animals died of hunger. Sadly, things remain just as dire. Animals at the zoo survive in lonely, sad, miserable conditions and are often harassed by visitors. 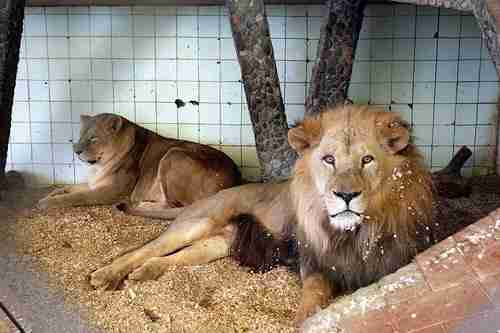 In the past, lions and tigers have even been attacked by humans trespassing in their cages. Most zoos operate like a business with a board of director, investors and trained employees to ensure the financial stability required for the care and upkeep of the animals. But that's not how things are handled at Tirana Zoo. Tirana is run by the local government, which hires untrained civilians to work there. And that's just the beginning of the problems. In 1999, there were more than 60 species at the zoo. Today, less than 13 remain. The zoo's tiger, as well as and other rare animals, died from starvation and isolation in their tiled, empty rooms. The eagle - the symbol of Albania - is kept in such a small space it barely has enough space to perch. Visitors have complained about the small, cell block-like cages but their concerns fall on deaf ears. 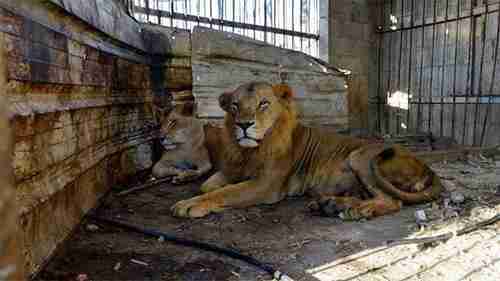 Starving lions at the zoo in Gaza. A war-ravaged city isn't a good place to live for humans or for animals. Case in point: Gaza's Al-Bisan recreational park. During the most recent rounds of fighting between Israelis and Hamas, the park was largely left in ruins, and many animals died as a result of gunfire. "Eight to 10 monkeys were killed," according to zoo veterinarian Abu Sameer. "Also a peacock, a gazelle, a lion, and a fox." Others then died of starvation and poor conditions. Many of the ones that survived were traumatized by the noise and destruction, then left to live with the rotting corpses of their dead cage mates. Since then, animal aid organization Four Paws has stepped in to rescue animals, including several lions. The point of going to a zoo in the first place is to see the animals eating, playing, and living - like they would in their normal habitats. 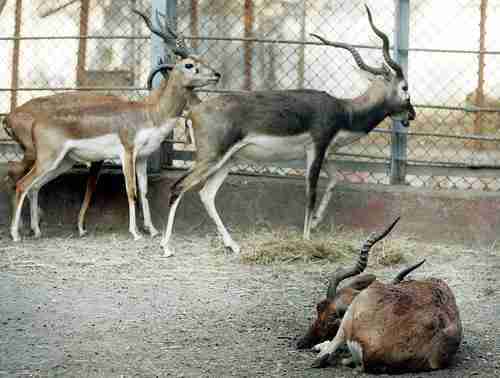 But visitors who come to Jijamata Udyan Zoo end up experiencing something more along the lines of a taxidermy museum. With no funds to create better enclosures or to replace deceased specimens, animals that die in their cramped, dirty cages are stuffed and then put on display. Such was the case with the last Siberian tiger in India. 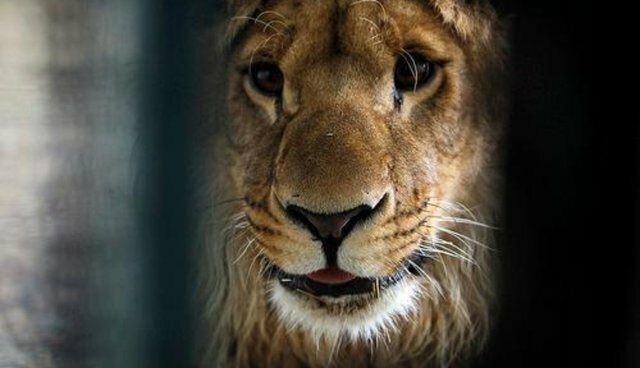 In 2010, zoo director, Sanjay Tripathi shared this silver lining the BBC, "the public will be able to see and appreciate the animals and even study their body structure." This remains the policy for the remaining 200 mammals at the zoo. Sadly, one of the U.S.'s own zoos makes this list. In 2013, In Defense of Animals, an international animal rights and rescue organization named San Antonio the worst zoo for elephants, for the sixth year running. This year, San Antonio is number two on the list for 2014. And here's the reason why: Elephants need interaction with other elephants to stay healthy and happy. Most elephants breed for life with one mate and build families – just like humans. Their bonds are intense. After the death of her pen mate about four years ago, the zoo moved an Asian elephant named Lucky in solitary confinement, according to IDA. 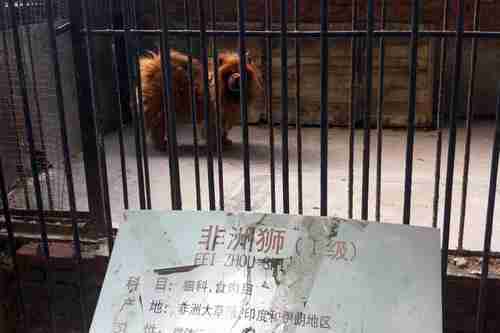 She has been there ever since – much to the dismay of visitors and animal rights activists. The Giza Zoo, founded in 1891, used to be the most spectacular - and popular - zoo in all of Africa. Today, it's a shadow of what it once was. Animals live in crowded cages and are rarely exercised. Zookeepers were also known to pad their wallets by charging visitors to enter the cages. The zoo was expelled from the World Association of Zoos and Aquariums in 2004, and it hasn't improved the deplorable conditions or curtailed the staff's behavior. Video footage from the zoo shows an elephant's foot chained to a post preventing the animal from walking around. The chain had been on for so long, the skin around the ankle was worn away. Another video that went viral in 2014 showed boys shooting BB Gun pellets at a lion as it paced in its six-foot by six-foot cage, all in view of the zookeeper. Other animals are just slaughtered. In 2007, an elderly brown bear living at the Kiev Zoo was moved from a small enclosure where she has spent all her life into a larger pen with a male Malayan sun bear. Stressed by the new addition and unfamiliar surroundings, Dinara, began to bang her head repeatedly against the concrete walls leaving bloodstains everywhere. After a week, she was euthanized. Not long after, the Kiev Zoo was declared a " concentration camp for animals" and ousted from the European Association of Zoos and Aquaria. Since then, more than 50 animals have died due to malnutrition, mistreatment and lack of medical care. 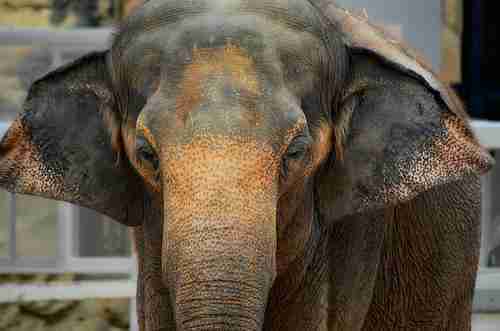 Among the casualties was a 39-year-old elephant named Boy. Considered too plump, zoo officials put him on a diet of just water and hay causing him to lose more than a third of his body weight. When his ribs began to show, they changed his diet to beets, carrots and apples. This caused him to gain weight so quickly that he went into heart failure and died in his small pen. In 2011, new management stated that more than half of the animals once residing at the zoo had died in a two-year period and that thousands of dollars earmarked for food and care mysteriously disappeared. Animals continue to die and money continues to disappear. 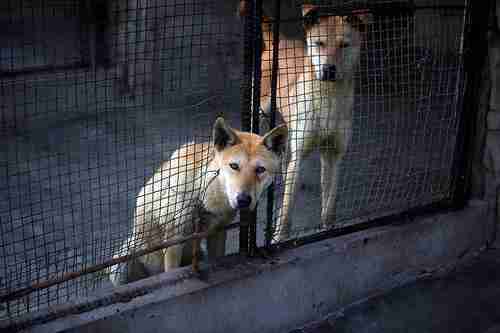 In 2006, the Asia Times reported a shocking case of animal murder stemming from North Korea's largest zoo. An investigation found that the movie " Fighting Animals," which was supposed to be a wildlife documentary, actually showed caged animals fighting to the death. Since some of the animals shown were endangered species found only at Pyongyang, it became obvious that the zookeepers were involved in the film's production. Adding insult to injury – animals are kept in cold, cramped quarters that leave most of them disheartened and depressed. Rather than fix the problems, this past February Kim Jong-Un added a new breed to the zoo's lineup in hopes of getting some positive press. A lion? A bear? Heck no! The new members are three Yorkshire terriers being trained circus tricks – the perfect way to entertain the culture-deprived North Koreans. The Surabaya Zoo is one of the largest in all of South East Asia housing over 350 species over 37 acres. Sounds like plenty of room, right? 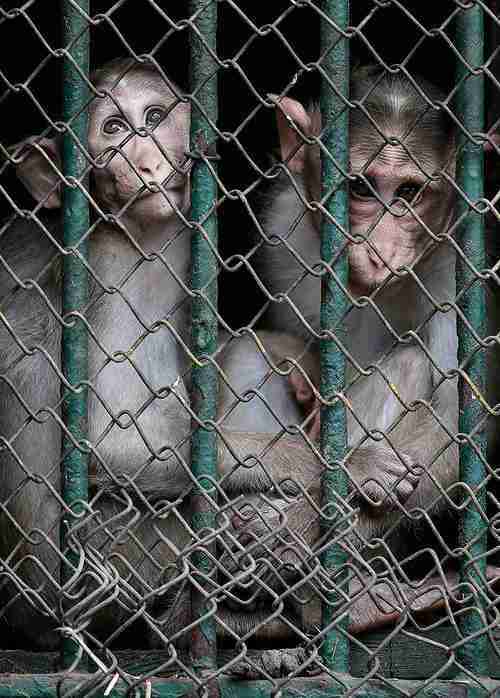 However most of the animals are imprisoned in such tight cages or housed with so many other animals they can barely move. More than 200 pelicans inhabit the same enclosure and don't have room to lift their wings. Tigers are only allowed to leave their small, dank concrete dens every three days. 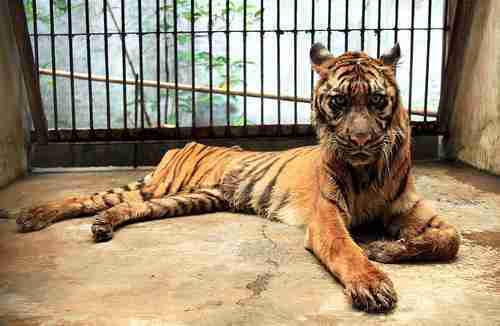 In 2010, the Jakarta Post labeled it the " Zoo of Death" after excessive number of animal causalities. That same year, the Forestry Ministry revoked the zoo's license. In 2014, an 18-old month lion named Michael was found hanged to death when his head became stuck in a metal cable. East Java Natural Resource Conservation Agency conducted an investigation that found zookeepers to blame for most of the abuse and deaths. They found that zookeepers steal the meat meant for the animals and sell it on the black market, and that the animals are maltreated, unfed, and the cramped living conditions result in out-of-control breeding. The conditions are so bad, change.org started a petition demanding the zoo close. While mistreating animals is the worst thing a zoo could do – misleading visitors isn't so nice either. But that's exactly what happens at the People's Park of Luohe in Henan. Instead of coughing up the cash to buy exotic animals, zookeepers do the next best thing by presenting quasi lookalikes. 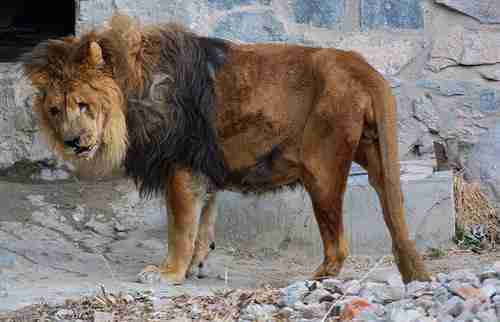 The "African lion" turned out to be a large Tibetan mastiff dog (they can weigh up to 170 pounds). But the zoo didn't stop at just that. The "snow leopard" turned out to be a white fox. And in the "wolf" pen was just a straggly dog. While the fox and dog remained mum, the mastiff outed himself when he barked at his audience. If it weren't so tragic for the animals, it would be laughable.